Each nursery has an educational concept. The following is the concept of the Kindervilla. If you have further questions we are available at any time for a personal meeting. Fine and gross motor skills are needed to develop and this is something we do not want to take from our children. 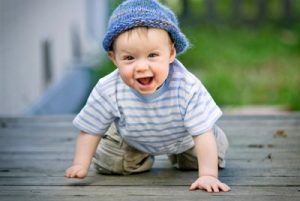 We give your children time to enhance their movement and the security to do so. By creating this independence and experience on their own, your child develops self-confidence and self-worth. Therefore it is our job to provide your child with developmentally appropriate play materials that allow self-discovery and exploration. Through different platforms and levels we broaden your child’s perspective on space. Through artistic and creative activities the emotional skills of your children are stimulated thus broadening their horizons and inspiring their imagination. 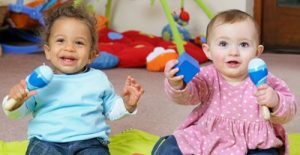 This support has a positive effect on social competence, intelligence, creativity, their willingness to learn, and the development of your children. We allow the different age groups a wide range of musical, creative and design support. For example: group singing, rhythmic movements and games, making music with different instruments, experiments, design resources, colors, materials, etc. For your child’s development structure, rules and rituals are very important. Through a structured daily routine and varied experience’s your child gains security, guidance and support, while allowing the use of open space to experiment, play and explore. We want to give your child valuable skills for social interactions. Your child should understand that each person has their own personality and treat everyone with appreciation and respect. Emotions such as joy, anger, frustration and grief are inevitable in our lives and our children’s lives. Therefore it is important to us that the children act out these feelings in an appropriate context and can learn from them (with a nonviolent approach). Your child should learn to address and resolve conflicts and to respect their fellow human beings. A healthy and balanced diet should start from birth. Together food and drink play an important role in children’s development. During meal time children have the chance to share with each other and interact within the group. 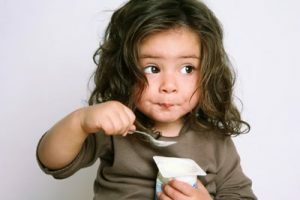 Children adapt quickly to eating habits both good and bad. Therefore it is particularly important to us to teach the right path to good eating habits. All food used in the Kindervilla are obtained from certified organic sources. All meals are prepared fresh from our personal chef on our premises. We pay attention to the season availability and quality, also to the special needs of children such as allergies eg: lactose intolerance or gluten-free diet into account. This accounts for breakfast, lunch and afternoon snack and for all party or celebration foods. To drink we serve the children water. The team from the Kindervilla is aware that the parents are the primary caregivers and shouldn’t be replaced by anything or anyone, we welcome all the parents at all times to visit your child during common times like breakfast or lunch. We also appreciate any ideas or suggestions from the parents. We pay special attention to the cleanliness of your child, it is important to us that this be done in a loving warm way and most important in the privacy of a separate room. This insures your child’s privacy and allows the caregiver to carefully concentrate on your child without distractions. 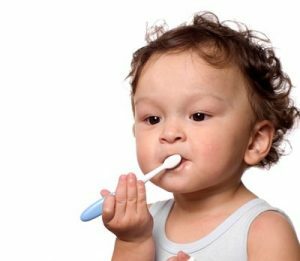 We offer your children help and guidance in their own personal care, such as: hand washing and brushing their teeth. At the Kindervilla we work together with the parents in supporting toilet training and toilet hygiene in our child-friendly toilets. Children need rest. A few hours spent with peers can be stimulating, but also exhausting. Every child has the opportunity to take a break to rest and sleep respectively, according to their individual needs. We also offer children the opportunity to take sleep after lunch in the privacy of their own bed in our spacious sleeping rooms. Using sleep rituals, such as singing songs, telling stories or listening to soft music, the children are gently brought to sleep or rest time. There is no bad weather in the Kindervilla. 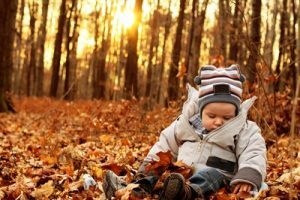 We feel it is very important for children to be in touch with nature to respect it and its seasons and miracles. Fresh air every day in any weather is essential (even if it is only 30 minutes). In our own garden we have reserved an area for planting herbs which we will maintain with the children. The children can learn what benefits herbs have and discover their fresh flavors in our daily meals. Bilingual: discover the world in two languages. The Kindervilla is a full-day facility with an emphasis on bilingual education. (Foreign language is English) Your child has the chance to learn another languge in a non demanding fun playful way. The most effective method of language acquisition is by far the “immersion method “. “Immersion” means immersion in a language. With this method and with the principle “one person – one language” a supervisor speaks only German, the other only English. Every thing is said through native language and is only reinforced by gestures and hand movement , not trough translation. The child independently opens up to the language piece by piece through context of situations. 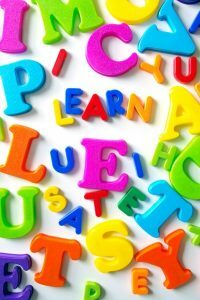 This is the most natural way for children to learn languages, whether as their first or second language. “Immersion” is more suitable for children than any other method, because it motivates and works without any pressure. Is is scientifically proven that “immersion” methods attracts significantly higher results than conventional teaching methods. It is also proven that bilingual children take in information and factual content as well as or better than monolingual children. In the end, your child is growing up bilingual, which will prove an advantage in their whole lives not only in their home. Observations provide us with important clues that allow us to perform targeted educational work with children. Each child has his personal diary in which the daily routines are documented. This diary is given to parents when picking up their child. The parents then document the child´s nightly routines, how well your child slept, ate etc. and return with the diary the next day. This allows care givers to give individual care to your child depending on their needs on that certain day. Further attention can be given in parent/caregiver conversations. In the first three days (base period) the parent should be present in the group rooms. The child may move away and return when needed in the “safe harbor”. The first visit´s to the centre should be no more than 1 or 2 hours. A trial separation should not be made. The first separation experiment is performed on the fourth day. 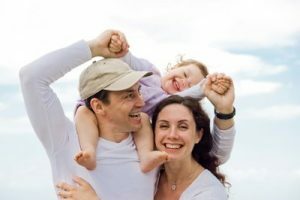 The child is given time to see that it can be safe and still fun in the hands of a caregiver not only with Mum and Dad. It is important that the caregiver be adopted by the child. Parents should remain in shouting distance if the child cries and can not be comforted by the teacher. The parent should only stay a short time when bringing their child, say goodbye and let your child know when you will be returning, then return on the agreed time. Of course leaving the child with a comfort toy/blanket if needed. This allows the parents and the child to become familiar with our daily routine, rules, toys, facilities and activities. Here we want to point out that we stagger the settling times of all new children. There should be no more than 1-2 children settling at one time. The fewer children settling in the same group, the faster the settling will go. The Parent and the caregiver together will determine when the settling period should seize. This time period is different for all children.